The Xon Range is our signature range of fully upholstered office task chair. Available in high and medium back options it offers the latest in office chair technology comfort and design synonymous with the Thomas Montgomery brand and quality. Xon Mesh, an alternative to the fully upholstered chair, is modern fresh and visually lighter in appearance yet still offers the same level of adjustment and comfort as its two older brothers. Ventus is every bit as modern and comfortable as you would except. A high back chair with a host of adjustable features, its sleek, light appearance only adds to its capabilities. Synchronised multilock mechanism, sliding seat, 3D adjustable arms all combine to offer maximum adaptability for the user. 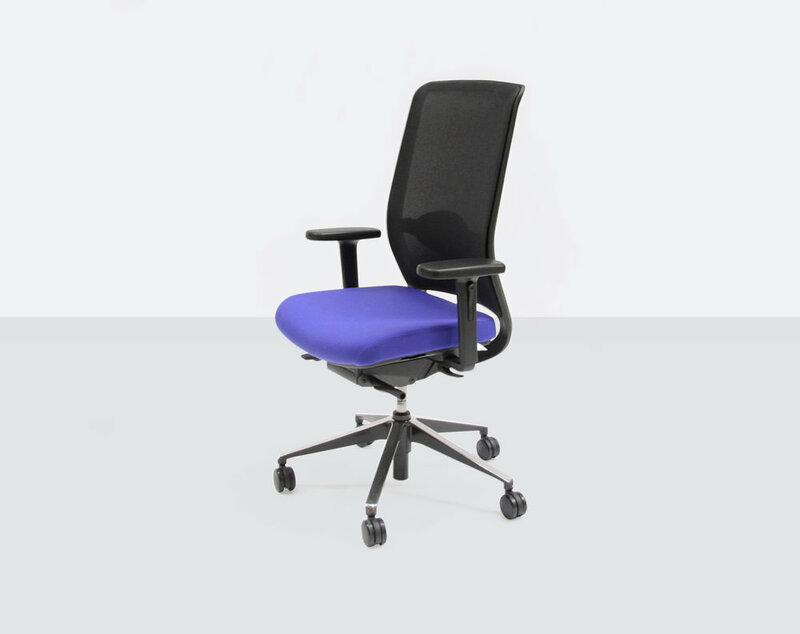 Available with polished chrome or black nylon fittings, Ventus has the added benefit of being fitted with height and depth adjustable lumbar support. We also hope to offer Ventus with coloured mesh options in the not too distant future. Rayl is our most dynamic range of task seating. Featuring a self adjusting sychro mechanism, the user benefits from minimum amount of controls. The chair adjusts to the user. With standard features such as seat depth adjustment, 3D adjustable arms and height adjustable mesh back Rayl offers great functionality combined with superior modern design. Available in black or white frame finish with matching mesh. Upholstered seat in a wide range of fabrics and hides. 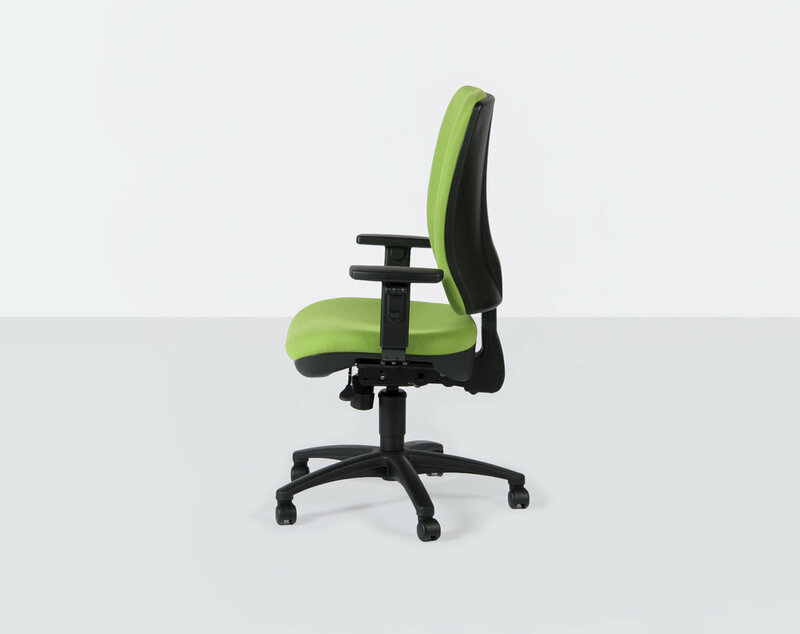 Aro is the perfect all-rounder when it comes to mid-range task seating. With its generously proportioned seat and back coupled with lots of adjustment features Aro is the perfect all-rounder at an affordable price. The Aro range comes in both an operator and task version with both mesh and upholstered back options.